Any psychologist will tell you that one of the worse things that can happen to a person is anxiety. It’s bad because anxiety makes the person feel creepy and haunted. So everything in the situation feels like a threat. Diversity issues have always pushed on the American psyche. What’s different now is that it’s not diversity issues, but neo-diversity issues. To repeat myself (see my earlier post; Back to the… A Neo-Diversity Interlude, Thursday, 10 March 2011), neo-diversity is the situation we live in today where contact with people who do not look like or sound like us, is unavoidable. One cultural observer (Arjun Appadurai) has said that because of this we struggle with the question, “…who are the ‘we’ and who among the ‘they?’” That is the question that is causing so much anxiety in America. President Barack Hussein Obama is the personification of that neo-diversity anxiety. Is he one of us, or isn’t he? Well, he’s African-American… ok, he looks black but he was raised by his white mother and grandparents. He’s a Christian… yeah, maybe, but his middle name is “Hussein.” He’s a black man… yeah right, Harvard graduate… come on. He’s American… maybe, if you think Hawaii is really part of America… let’s be sure; let’s see that birth certificate. 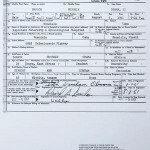 Oh look… here’s the birth certificate! I don’t know… it could be a fake; I mean after all why did he take so long to decide to show it? What was he trying to hide? President Obama is correct; focusing on this silliness is getting in the way of our nation addressing the serious issues before us. But that’s the other thing anxiety does to a person; it makes the person lose perspective. The creepy-haunted feelings grow more and more intense turning into paranoia. That’s why uncontrolled anxiety is so bad; that’s why anxiety is the one of the worse things that can happen to you. All of America is struggling with the neo-diversity question; “…who are the ‘we’ and who among the ‘they?’” That is just natural given the speed of the social changes that have come to us. Yet worse than that anxiety-of-the-day are those like Donald Trump who are feeding that neo-diversity anxiety to suit their own purpose; to keep their name in the public eye, or to sell a book that’s just ready to come off the presses. 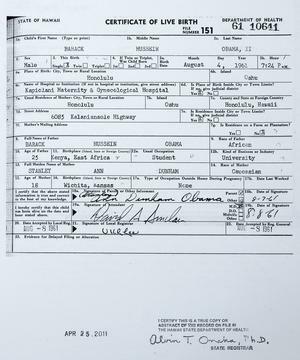 This entire birth certificate debate is pointless. It undermines what politicians should be debating: policy. I’m glad the birther debate can now be put to rest. Hi. Very good article,thanks for sharing. I visit this website every day. Making Gumbo © 2011 by Rupert W. Nacoste, Ph.D.